Are you looking for a quick and easy way to keep your smile dazzlingly white? 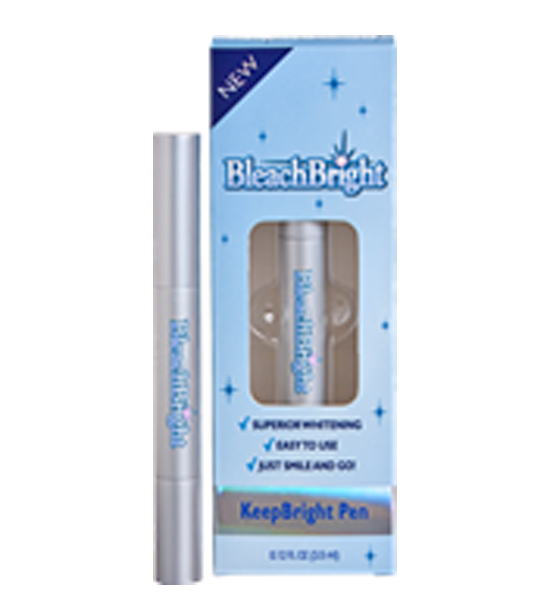 The KeepBright Pen lets you easily maintain your smile, and it fits in your pocket for on-the-go teeth whitening! Use it after meals to remove new stains from food and drinks before they have a chance to set. To maintain your gorgeous white smile wherever you go, just twist the bottom of the pen until you see gel come out of the tip. Apply a thin layer of gel to your teeth. Allow 30 seconds for it to dry, and you ll be ready to light up any room with your pearly whites! Easily maintain a dazzling white smile in 30 seconds. Remove food and drink stains before they set. Stay in the habit of keeping your teeth white, wherever you may be. Keep your teeth maintained for a full month.